Indian cinema paid its last tribute to one of the most popular actors of Hindi Cinema, Shammi Kapoor. Known as Elvis Presley of India for his western looks and bouncy dance moves, Shammi Kapoor remained a prominent romantic lead in Hindi cinema from the late 1950s until the early 1970s. Even after retiring from lead roles, he continued to grace the screen with great performances in many supporting roles. In his lifetime, he has acted in more than 130 films. Not many are aware but Shammi Kapoor was the founder and chairman of Internet Users Community of India (IUCI). He had also played a major role in setting up internet organisations like the Ethical Hackers Association. Kapoor maintained a website dedicated to the 'Kapoor family’. The “Yaaahoooo” star was honoured with many prestigious awards throughout his life. He had won multiple Filmfare Awards, Zee Cine Award for Lifetime Achievement, Star Screen Lifetime Achievement Award, Anandalok Awards, Lifetime Achievement Awards and was honoured for his Invaluable Contribution To Indian Cinema at the IIFA. Shammi Kapoor is also the recipient of the prestigious Living Legend Award by the Federation of Indian Chamber of Commerce and Industry (FICCI), Rashtriya Gaurav Award and Phalke Legend Actor Award by the Dadasaheb Phalke Academy. 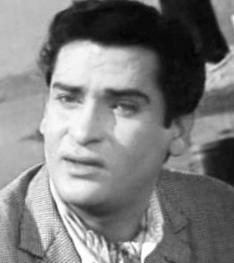 Shammi Kapoor was suffering from chronic renal failure and was admitted to Breach Candy Hospital in Mumbai on 7 August 2011. He died on 14 August, 2011, 04:30 am (IST). He was 79 years old. India mourns the demise of this legendary actor and prays for his eternal soul. Shammi Kapoor will be fondly remembered for his vitality and charm and for bringing many characters to life and making them memorable.